Controversial Malaysian rapper Namewee is happy to be nominated in the Best Male Singer category at this year's Golden Melody Awards. As reported on Now News, the Muar-born rapper, who was nominated in the same category last year, shared that the nomination came at the right time, since this year would be his tenth year in music, since he published his first work on YouTube. "Thank you to the Golden Melody Awards for giving me the best gift for my [tenth anniversary]," he said, in a video recorded at home. 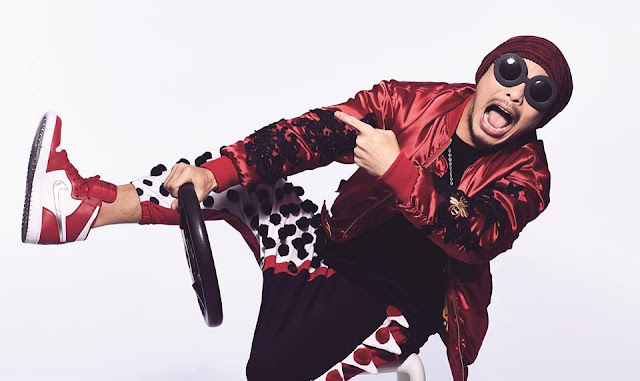 Namewee also thanked those who helped him with his work, which enabled him to transition from the internet to the mainstream; as well as the performers who collaborated with him on his album, "Cross Over Asia"", including Wang Leehom and hip hop group Nine One One. "Thanks to the fans for all the support, to all the staff from behind-the-scenes to the front line, my management company and working partners, and of course, the most important people; my family, who has always supported me," he added. Namewee will be facing tough competition from Jay Chou, Yoga Lin, Khalil Fong, Guo Ding, Dog G, and Crowd Lu.